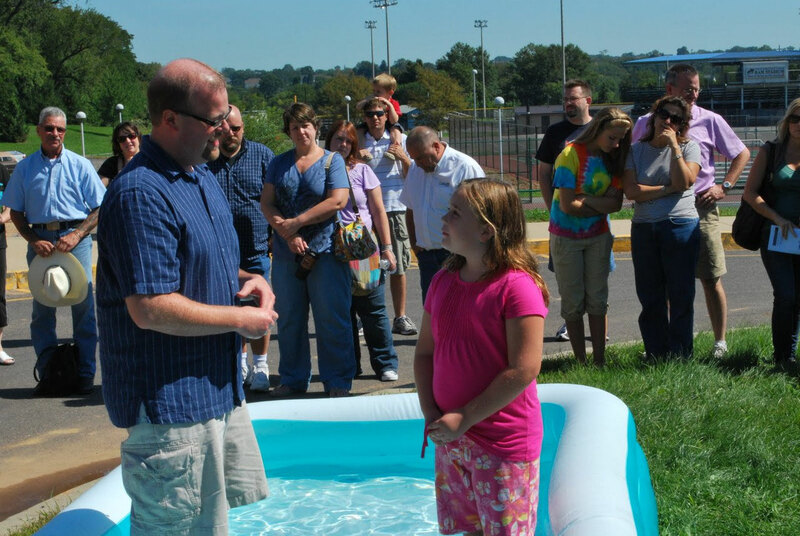 Baptism (by immersion) for true believers. At Spring-Ford High School. A wonderful summer day and a heartfelt declaration of faith by our Daybreak kids.